On a Tuesday morning in December, I uploaded my late-night talk show's 449th video to YouTube, then went about my day. 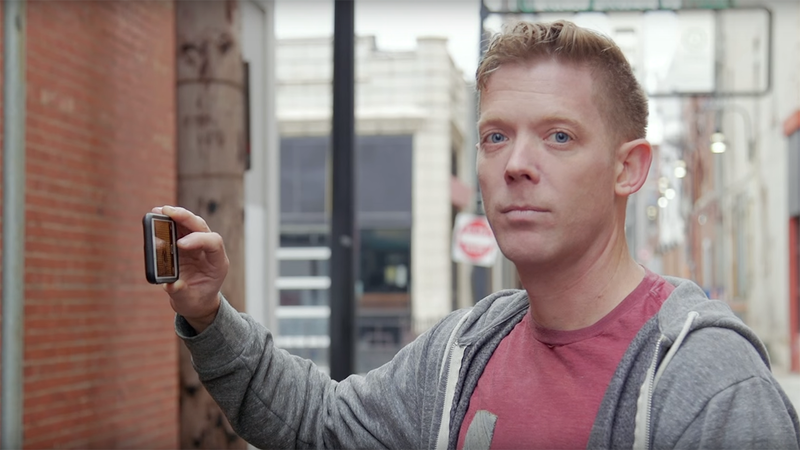 By the afternoon, I was thinking this one—a mockumentary called "Instagram Husband" created for our Springfield, Missouri-based show, The Mystery Hour—might be different. The next day, when it hit 1 million views, I knew it was different. And by the time the next week rolled around, I didn't know which way was up anymore. When I came up with the idea for "Instagram Husband," I had a vague sense it had the chance to go viral, because when I shared the idea with people they enthusiastically related. I thought people I know would share it, the team that helped create it would share it, fans of my show would share it, and it would be a nice little feather in the cap. I never would have guessed just how big it would become. It's hard to accurately describe the feeling of going viral for the first time. The best I can come up with is that it's like you're dropped into the ocean with stray planks of wood, nails and a hammer. As you're frantically treading water, you're also trying to figure out how to build your boat at the same time. I'm proud that we built The Mystery Hour slowly from underground hit, to television, to syndication with good, live crowds—all in Springfield. The operative word here is "slowly." We slowly built things in a nice stair-step fashion. Then, with one video, I was getting calls and emails from press around the world and from people in the entertainment industry in New York and Los Angeles. It was surreal. I remember saying to my wife, "This is everything I've ever wanted, and I have no idea what I'm doing!" It was equal parts joy and frenzy. I was getting advice from well-meaning people saying things like, "Have you monetized the video? Have you made T-shirts? Do you have ads on your website? Are you collecting emails?" To which I would deliriously reply: "What? No. How do I do that? Should I? Where am I? What day is it?" It would have been great if I were prepared, but I would have been maniacally optimistic to somehow be expecting all this ahead of time. Now, a few months later, I've got a functioning boat built, I have a better understanding of the ocean I'm in, and I'm really enjoying sailing. I've been introduced to the best people of the internet, as well as the worst. I've unfortunately become acquainted with something called "freebooting." Freebooting is when someone downloads your video, then uploads it onto his or her Facebook page, YouTube channel or other platform, often without credit and always without permission. These pirates have been sidling up to my boat declaring: "Hey, nice boat, I think I'll take it." No matter their motivation, freebooters are taking money and recognition away from creators. With YouTube, you can monetize your videos so you basically get paid per view. It's not much, a fraction of a penny for every view, but it adds up when you're getting millions of views. To this point we have 5.2 million views on YouTube. I'm certain I've missed some, but in the last few months I've found 60 freebooted versions of our video on Facebook totaling an additional 20 million views. Facebook counts its views more generously than YouTube, but it's still a lot of views we don't see any benefit from. I've gotten a few taken down by reaching out to the freebooters, though in one case I was actually blocked by the admins of a Facebook page that stole my video after telling them it was my content. I continue to go through Facebook's copyright channels to get many shut down. In addition, we got an Instagram account shut down that was lifting all the pictures from our account and putting them up as its own. I have no idea what its endgame was, pillaging for the sake of pillaging, I guess. Social media is a great place for the nonsensically selfish to wreak havoc. Trying to stop them is like trying to wrestle several feral cats into a kennel, except the cats are people … feral people. I don't really blame others who unknowingly share those videos; it's so easy to share something and not think about where it came from, but it helps to be aware. On the one hand, views are views, and they're all helpful. I truly mean that. On the other hand, if you're one of the freebooters, I hope you seriously injure your clicking finger in a gruesome accident that can only happen to those who live in the basements of their mothers. I truly mean that. The truth is that when you put anything out there digitally, it's yours, but it's also everyone else's now. That reality reflects the best and worst of what the internet has made possible. I'll keep creating content I'm proud of, and I'll keep putting it up online hoping it goes viral. In the end, it's fun to be in the ocean, I'm loving the ride and feel grateful to be sailing. But while I keep one eye on the horizon, I keep the other on the pirates. Jeff Houghton (@themysteryhour) is creator and host of The Mystery Hour, which airs weekly on Fox 5 and Fox 14 in southwest Missouri.